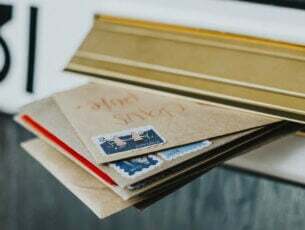 Ever wondered what an VOB file format is, and how to open VOB files? If the answer is yes, you’ve come to the right place — his post highlights ways to open and modify this file format. 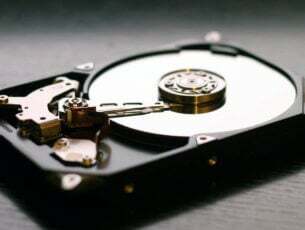 A VOB file is a media data file usually stored in the Video_Ts folder in the root folder of DVD disc. VOB files usually contain most of the information stored in the disc such as audio, subtitles, menus, and video. This post shows you programs that can open VOB file format and manual ways to access this file extension. If you want to open .vob files on Windows 10, there are a bunch of tool,s that will help you do it. 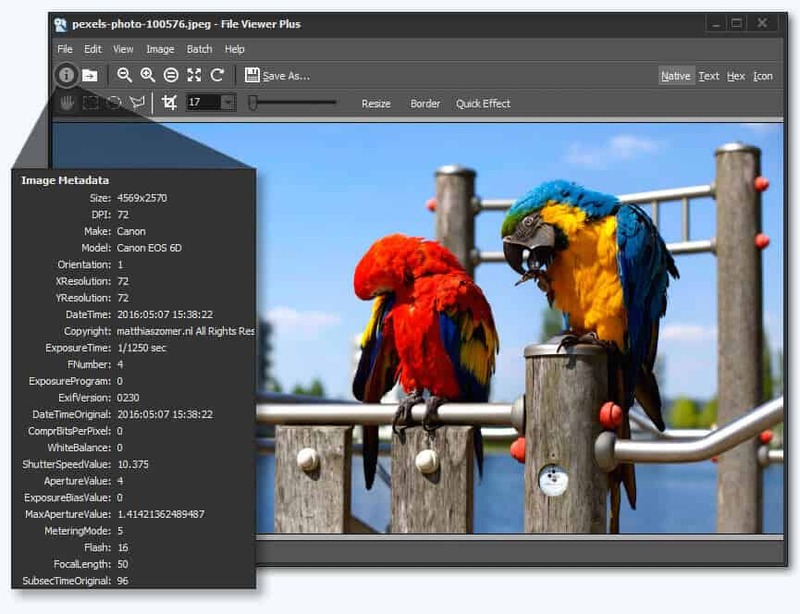 We recommend FileViewer Plus, a universal file viewer for Windows that can open and display over 300 different file types. Besides .vob file types, this toool will also open dozens of other video files that regular players can have problems with. In some rare cases, if FileViewer cannot display the native view of the file, you can use the Text and Hex views to inspect the file contents. These views let you see “inside” the file, providing valuable information, especially for unknown file types. You can even search for content stored in the file. It’s not the case for .vob files as on the official website the .vob files are present as fully supported by File Viewer Plus. 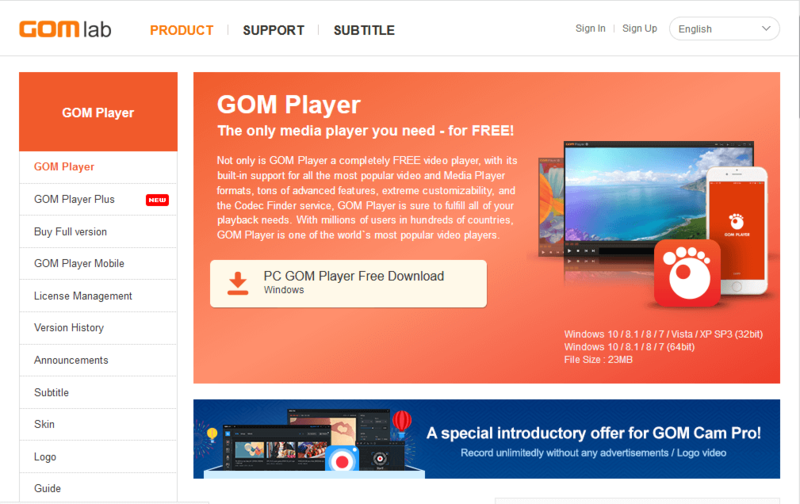 Gretech GOM Player is one of the most popular media players used in Asia particularly in South Korea and Japan. GOM player has a nice interface which can be customized to your preference with the GOM player skin which can be easily downloaded from the program website. In addition, GOM player has a unique inbuilt codec finder that gives information about unsupported format by scanning through the codec. The media program then leads you to websites where you can download the missing codec. Also, Gretech GOM player supports many media formats such as the AVI, MP4, MP3, WMV, and most especially VOB formats. Using GOM player enables you to view files in VOB format and supports varieties of subtitles like SRT and VOBsub. This media player is a powerful and handy media player to open VOB files in Windows 10. However, the program is free. VLC Player is a very popular player used by over 100 million persons worldwide. The open source media has a huge customer base due to its unique features as you can play numerous media formats on the program. In addition, VLC consist of a simple interface which uses drag and drops mechanism in organizing and playing your media file formats. The VLC media player supports over 70 audio and video media file formats which include MP4, 3GP, WAV, FLV, AVI, and most especially VOB files. The media player can play VOB files directly from the disc or as a standalone file format. VLC media gives good features with much access to different media files formats and you can subscribe to podcasts and be streaming websites directly from the program. Microsoft’s Windows Media Player is the default media player that comes with your Windows operating system. The program is widely used as it has many features which have been the crux of other media players. However, Windows Media player supports many media formats as you can play WMV, MPEG, MPV, and most notably VOB file formats. 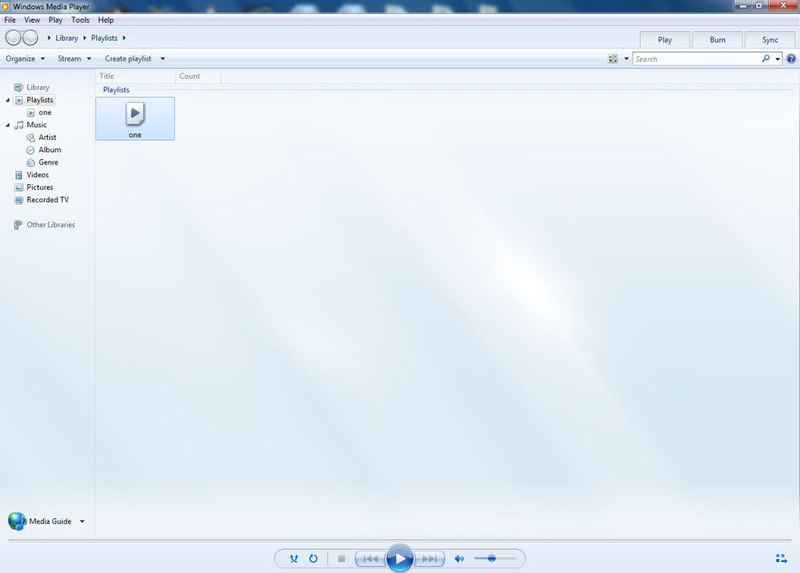 You can stream your music directly from your system using the Windows media player software. Furthermore, this media player also has the largest library of plugins which can be downloaded to improve the performance of the media player. Windows Media enables full access to VOB files and supports many subtitle formats. Lastly, Windows Media Player is a default program in Windows 10 PC which can be used to open VOB files. 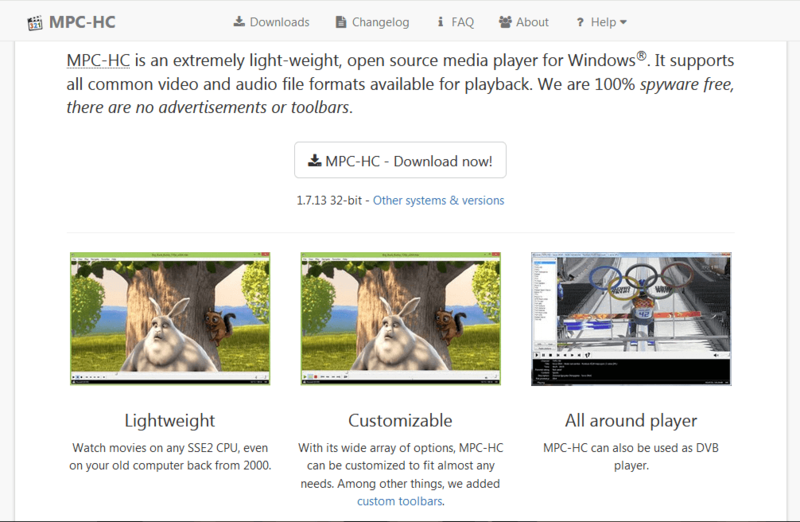 This open source media player is quite popular among users as the program shares similar features with Windows Media Player. 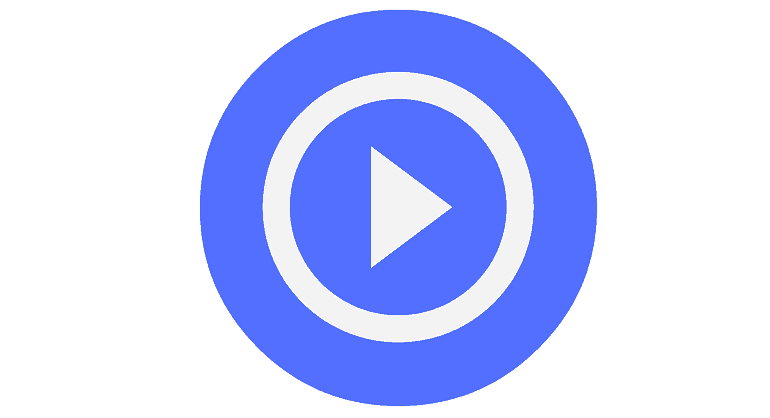 Media Player Classic on the other hand, enables you to customize the interface and offers advance playback tools which add to your viewing experience. Media Player Classic has a “Home Cinema” feature which enables the software to create a unique cinematic experience when viewing video files. The media player supports a wide range of media formats such as OGG, MP4, MPEG, and most notably VOB files. In addition, Media Player Classic enables you to enjoy viewing VOB files and is recommended as a quality media player. The program uses little system memory and is small in size and compatible with older PCs as well. Hence, you can use this program to open VOB files in Windows 10 computers. 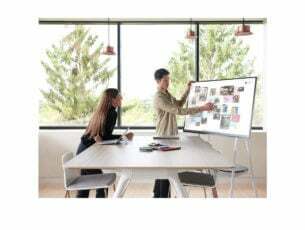 Power DVD is a giant in the media player industry with the program used by millions and highly rated by critics and fans. Power DVD gives a complete package of a media player and has advanced tools such as search, browsing and online sharing of media files. The program gives a wonderful experience and allows you to upgrade files and convert them from one format to another. Power DVD is compatible with many formats which include MP4, MP3, JPEG, and VOB. You can have a good viewing experience of VOB as the program allows for you to upscale your video to better quality. In addition, Power DVD also supports 4K DVD format which means you get the full 4K experience on your system, even though you’ll need a computer with 4K capabilities to enjoy the full benefits. Power DVD is an excellent media player with many features and supports numerous formats while giving you a cinematic experience with the inbuilt “True Theatre Stabilizer”. In conclusion, the programs we mentioned in the post can be used to open VOB files in Windows 10 computers. However, while some of the programs are free such as VLC media player while others represent good value for money. You can use any of the programs to open VOB files in Windows 10. Have you used any of the programs we mentioned recently to open VOB files in Windows 10? Feel free to share your experience with us by commenting below.